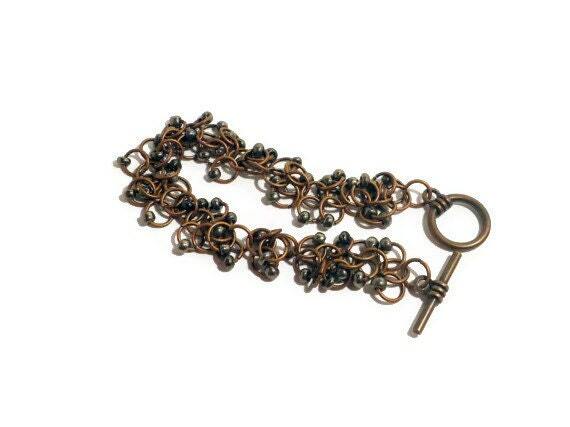 Shaggy chainmaille bracelet made using 7mm antique copper jump rings with black seed beads and finished with a antique copper toggle clasp. Bracelet can be made to any length - please specify when ordering. If you would rather have different coloured beads please convo me. Each bracelet will be made to order to ensure the correct length of bracelet.